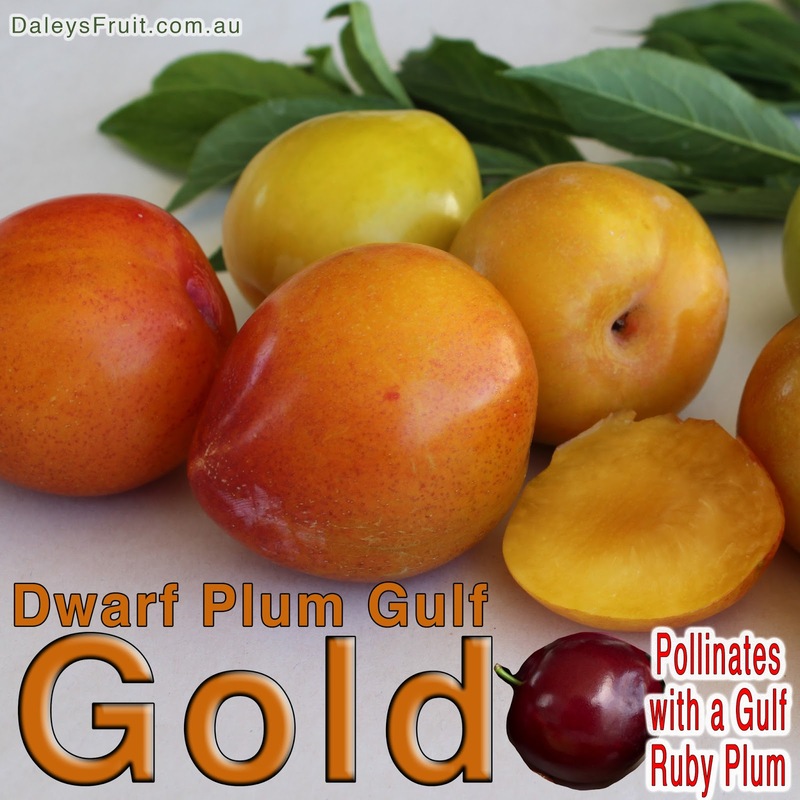 Dwarf Plum - Gulf Gold Fruit Tree is our favourite of all the stone fruit. Yes we know it's a big call. It is Low Chill, (350 Chill Hours) excellent juicy flavour and doesn't seem to attract as many fruit fly as other varieties and fills the branches when it crops. Dwarf Gulf Golds can fruit by themselves but to get a better crop you can match them with a Gulf Ruby Plum Tree. We can't say enough good things about this variety and have done lots of videos on it over the years.